There are many unique regions across Italy, each with their own distinct flavour to discover. However, few locations can match Sicily for its beauty. The largest island in the Mediterranean, just off the southwest coast of the Italian mainland, Sicily is a vibrant mix of beautiful seaside towns and ancient cities. Touched by many civilisations throughout its history, the island has its own take on the classic Italian lifestyle, making it a must-visit for anyone with love for the country. A large island covered in fertile, natural lands, many of the towns and cities of Sicily are spread along the island’s coastline. Thankfully, there is plenty to discover wherever you choose for your Sicily apartment and whatever your tastes. Discover here just some of the varied and extraordinary landmarks to visit during your next stay! The city of Taormina is one of Sicily’s most popular resorts. A hilltop town on the northern tip of the island, close to the Italian mainland, Taormina combines traditional Italian living with holiday luxury, making it a hotspot for tourists from all over the world. 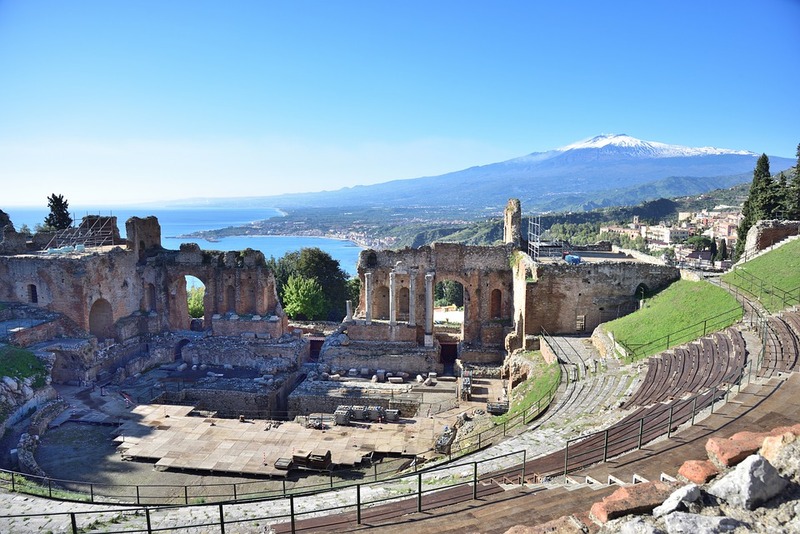 While many come to the area for its beaches, Taormina – and Sicily, as a whole – has a wealth of archaeological treasures to discover, such as the ancient theatre. The Teatro Antico di Taormina is an Ancient Roman theatre, created in the style of the Ancient Greek theatres that came before it. Built in the third century BC, the auditorium is one of the biggest of its kind in Sicily and is in good enough condition to host music concerts to this day! The one thing that is impossible to miss on any trip to Sicily, Mount Etna is the largest active volcano in Europe and dominates much of North-East Sicily’s skyline. Mount Etna is over 10,000 feet tall and has a base circumference of around 90 miles, sharing its land with ten municipalities in the province of Catania. While it is stunning to see from a distance, it is necessary to understand the importance of Mount Etna to the lives of many Sicilians. The fertile lands created by the volcano have helped Sicily to produce some of the finest produce in the whole of Italy. However, its power has also caused much destruction, even for people still living in its shadow. This commanding natural figure makes for an awe-inspiring journey for any traveller. Syracuse is a city on Sicily’s east coast, just south of Catania, and is classed as the island’s historical centre. With a history dating back 2,700 years, Syracuse is blessed with stunning architecture and plenty of historical monuments. 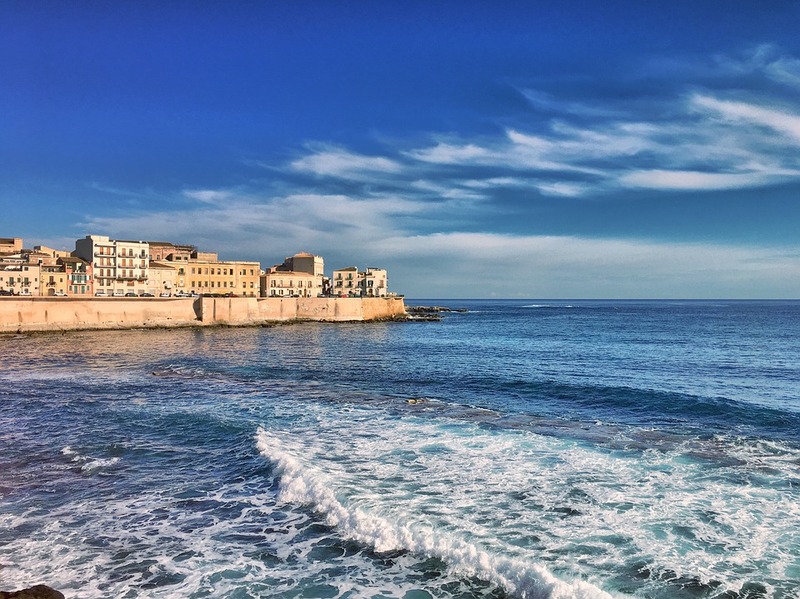 However, the original founding location when the Ancient Greeks arrived was a small, connected island just off the modern city’s coast, known as Ortigia. Also known as the Old City, Ortigia is only one square-kilometre in size but boasts a wealth of ancient history. Even those less interested in Sicilian history will find pleasure in the mini island’s traditional food markets and shopping streets. No trip to Sicily would be complete without a trip to the shimmering blue waters of the Mediterranean Sea, and there are countless locations around the island to enjoy the beach climate. However, if you are near Sicily’s south coast, then a trip to Scala dei Turchi is a must. Translating to ‘Stair of the Turks’, this is the location of a stunning white cliff face which has naturally eroded to create a series of giant steps leading down to the blue sea. The stairs are formed from a rock called marlstone and are smooth enough to walk around and sunbathe on, while the location is perfect for some memorable photos of your Sicily holiday. On the western coast lies Palermo, Sicily’s capital and one of the island’s most energetic locations. A city bursting with the cultural history of the island, Palermo is a colourful mix of Italian and Byzantine traditions, with markets across the city to explore. 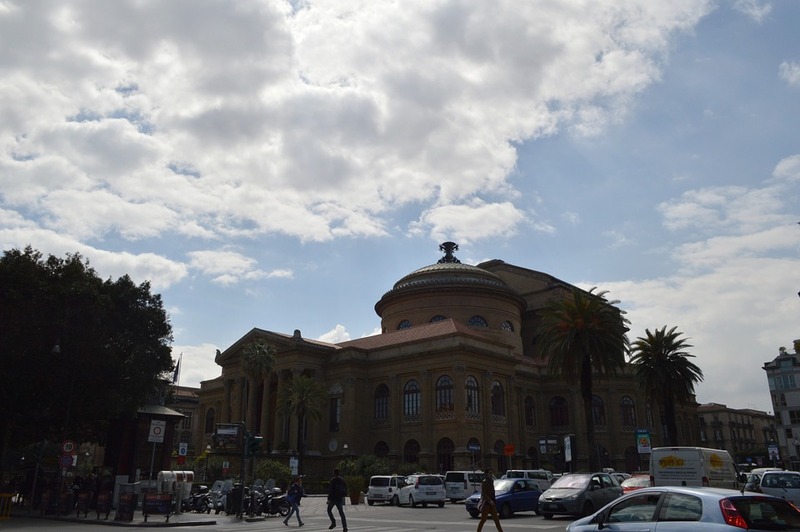 However, if you are looking to end your Sicily adventure on a high, then a visit to the Teatro Massimo may be just the ticket. Italy is world-renowned for its operatic performances, and the Teatro Massimo, dating back to the late 1800s, is one of the country’s finest opera theatres. It is also one of the largest in Europe, with its traditional, six-tier layout rising high into the theatre lights. The outside is designed in a neoclassical style, taking inspiration from the ancient temples of Sicily’s previous civilisations. With grand columns and lion statues at its doors, this is a truly luxurious location that makes a wonderful evening’s entertainment. These are some of the most popular locations across the island of Sicily. However, there is so much more to discover on this unique island! If you are interested in visiting, then why not take a look at the most photogenic places in Sicily?